You have probably heard of extreme couponing through the TLC show Extreme Couponing. Participants were filmed going to grocery stores with binders stuffed with coupons and buying shelves upon shelves of whatever was on sale. They ended up with hundreds of protein bars, piles of toilet paper, and more laundry detergent than they could ever use, all for pennies on the dollar. In some especially strange episodes, the grocery store ended up giving money back to participants. Watching this in action makes you wonder if you could do the same thing! Getting a week’s worth of groceries for just a few dollars seems like a dream. But is extreme couponing really worth it? Here’s the scoop. Extreme couponing is time consuming. You have to collect magazines and newspapers that you can find coupons in and search for the coupons you want. This alone could take hours, and some people use binders to organize their coupons because they have so many. Next you have to call the stores you will be going to. This is to ensure they have the items you want in stock, that they will honor your coupon, and that it’s a location where you can “stack” coupons – some grocery stores won’t allow it. Some say that extreme couponing becomes a part time job, so you should definitely consider how much time you want to put into this pursuit. If saving on household items is interfering with your everyday life, it could be more of a compulsion than a smart saving tactic. Is it really worth it to coupon? Well, it depends on how much time you have on your hands. If you find yourself with a lot of free time, seeking out coupons could be a good way to cut down on your grocery bill, especially if you’re not able to find work. On the other hand, if you have a steady job and are allowing couponing to interfere with it, you may be creating more problems than you are solving by taking it to the “extreme” level. You don’t have to go all the way to save money with coupons. Normal coupons – no binder or calling ahead required! – can save you hundreds of dollars on all kinds of items, from clothes to groceries to expensive electronics. 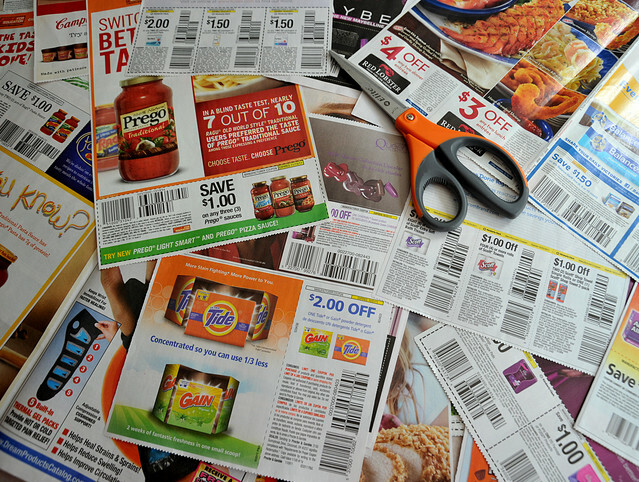 Searching for coupons online also simplifies the process, making it easier to find the exact coupon you need for what you’re buying. It always feels good to save money, but if you find yourself buying more protein bars than you could ever eat just because the sale is too good to pass up, saving might not be practical. Some couponers have admitted that their extreme couponing became a compulsion on par with hoarding, and that it led to an unhealthy diet – fresh produce and meat do not go on sale often. Save money, but save your sanity first. Be smart about how you choose your coupons and don’t let it rule your life.